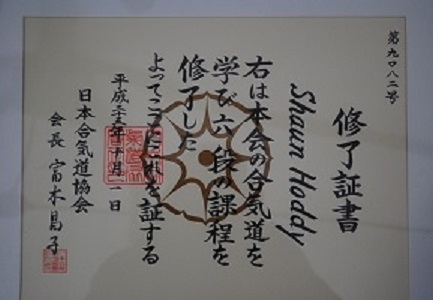 Present day Shoshinkan senior instructors Shaun Hoddy Sensei 7th Dan七 段 Tomiki Aikido, 1st Dan 初段 Tai-Ho-Jutsu. & Greg Barton Sensei 5th Dan五 段 (Retired) were both founder members and have been practising and teaching Tomiki Aikido since 1975. 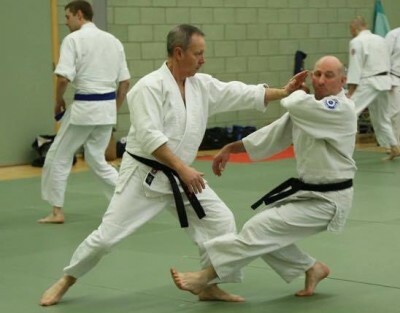 Shaun Hoddy has been a student of Dr Lee Ah Loi Shihan 8th Dan Tomiki Aikido JAA, 7th Dan Iai-do ZNKR, 7th Dan Jodo ZNKR and Ken Broome Shihan 7th Dan JAA since 1980 and has competed both nationally and internationally in both Kata & Randori. Dr Lee is the worlds highest ranking female Tomiki Aikidoka and spent time in Japan studying under the instruction of Kenji Tomiki 9th Dan and Hideo Ohba 9th Dan the founders of the Tomiki/ Shodokan system of Aikido. Dr Lee is recognised as a world-renowned authority on Koryu Kata. 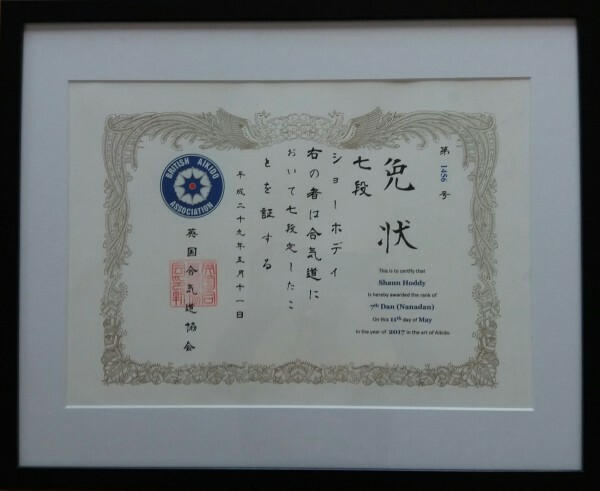 Shaun Hoddy Sensei has graded to the technical rank of 6th Dan 六段 ratified and registered with the Japan Aikido Association, he is also a JAA Shihan Dai for the UK. 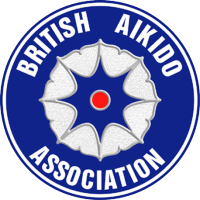 As a member of British Aikido Association, Essex Aikido Dojo (Shoshinkan) is recognised by the Worldwide Sport Aikido Federation. 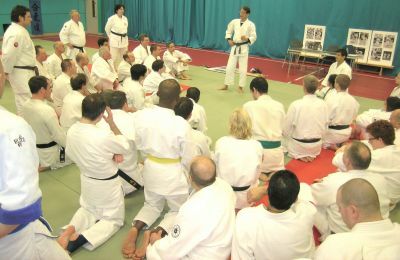 Shaun Hoddy Sensei is a member of the BAA technical committee. 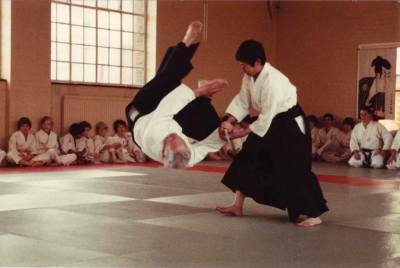 Andy Wisbey Sensei 5th Dan 五 段 started his Aikido career in 1980 at Westbury Aikido Club under the instruction of John Spurgeon. He then went onto study at the London Shodokan with Phil Newcombe now 7th Dan and graded to 1st Dan within the Shodokan system. 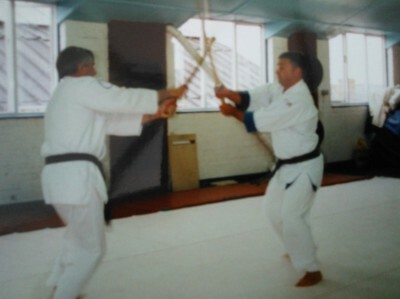 In 1992 Essex Aikido Dojo opened a class at Markhams Chase Basildon. 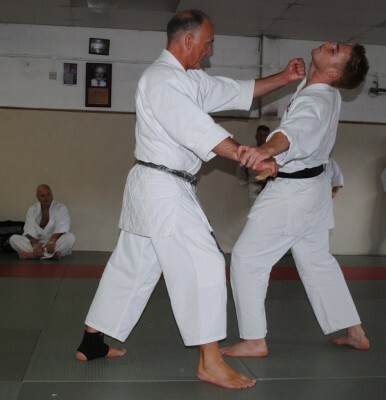 Andy Wisbey Sensei became a members of our Dojo and has become a valued member, and later an instructor progressing through the technical ranks to Godan (5th Dan 五 段Black Belt). 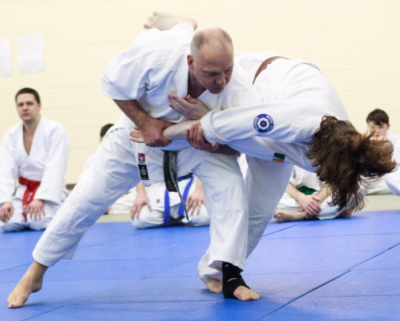 Martial Arts classes with Essex Aikido Dojo (Shoshinkan) are structured around a curriculum that allow students to progress through their grades at their own pace. 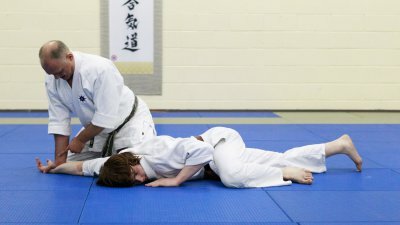 For students who are interested in competitive Aikido the club has produced Junior, Youth and Adult national champions. 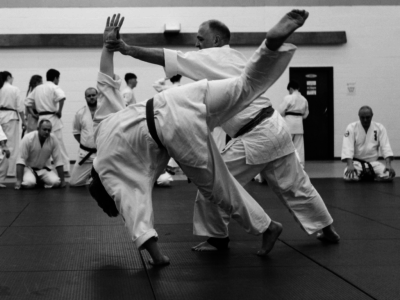 Competitive Aikido has various catagories that all ages can participate in. 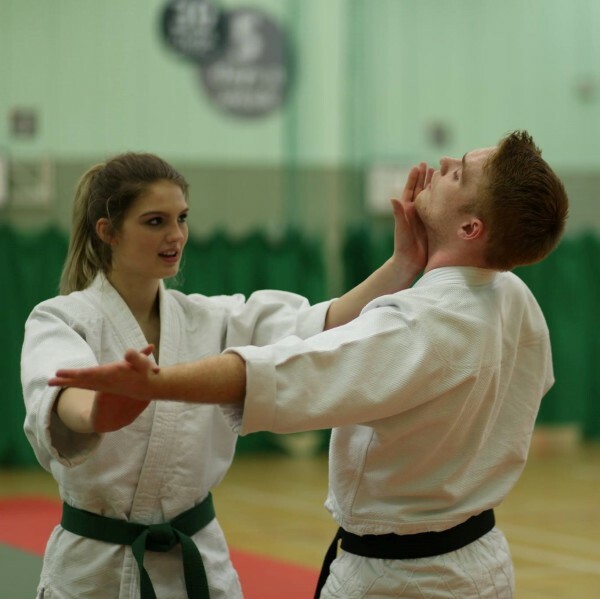 Kata - Forms that are demonstrated and judged for correct applicaton. Tanto Randori - Aikido sparring where one of the competitors is armed with a foam tanto (knife) scoring point with a clean prescribed attacks. Toshu the unarmed Aikidoka scores by applying throws and locks. The bout is split into two halves so that both competitors perform both roles. Toshu Randori - Aikido sparring where both Aikidoka are trying to apply techniques. ​For those who are interested in Japanese weapons, Tomiki Aikido has Bokken (sword) Jo / Yari (spear) Tanto (knife) within the syllabus. Tomiki Aikido can be a life long hobby as there is not a requirement for students to participate in competition for grade promotion. 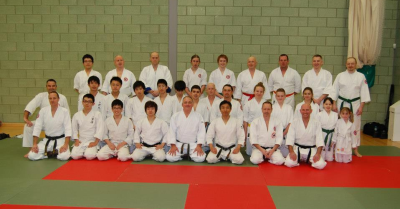 Shaun Hoddy Sensei ,Greg Barton Sensei & Andy Wisbey Sensei have attended various courses and seminars under the instruction of Itsuo Haba 7th Dan JAA, Takeshi Inoue 6th Dan JAA, Senta Yamada 6th Dan, Tsuneko Miyake 6th Dan, Fumiaki Shishida 8th Dan JAA, Yoshi Inoue 7th Dan JAA Tetsuro Nariyama 9th Dan SAF & Hideo Ohba 9th Dan. JAA.